Living in this fast-changing digital industry, we never lack of surprises.Now there is a total new thing enter into Android Campaign — Samsung Galaxy Camera.No matter compared with Android handset or traditional camera field, Samsung Galaxy Camera is definitely a new thing which is worthy for a review.It probably means a lot on how camera will develop in the future.Samsung Galaxy Camera is the first smart Android camera. View from the front,this digital camera keeps the long paragraph proportion like the conventional portable digital camera. Whole white body with black stroke design,it looks dynamic.From the top, we can clearly see the power button as well as digital cameras conventional shutter button.There is a built-in pop-up flash at the top left.Lens barrel is not in big length when the camera is power off. So you won't fell uncomfortable when it is on your pocket. This smart camera support for microSD memory card, it means you can share this card with your cellphone.With a 1650mAh battery, this smart camera will last about 7 hours as the Samsung claims.There is a SIM card slot added at the bottom,it will support 3G/4G network.Except WIFI, we can also share our photos by 3G/4G network. As Samsung Galaxy Camera runs on the recent Android OS JellyBean, it means you can run Angry Birds, Flipboard, Instapaper, Pandora, Firefox, GPS navigation programs and so on. Most cellphone doesn't even get a 4.0 inch screen,but this Galaxy Camera get a 4.8 inch screen, you won't be afraid it's too small to operate like the traditional camera. Since it's a camera, we sure can't miss its pixels. 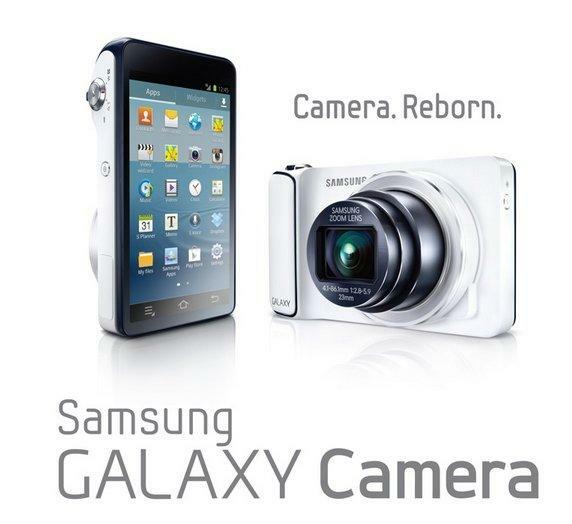 Samsung Galaxy Camera gets 16-megapixel resolution! With this resolution, you can take high quality photos for editing or filming. Before you share the taken photos, you can download some apps to edit them. But please be aware of that most of them are intended for cellphones, so they can't recognize these actual cameras' optical zoom controls. Some of the photo-editing apps can't handle these big 16-megapixel files, either. Unfortunately, you won't really know until you pay the $1.50 or $4 to download these editing apps. If you don't want to pay, its own "Photo Wizard" which contains 35 kinds of photo editing functions is enough to meet the needs. "Movie Wizard" also allows the user easily create and edit professional quality video. 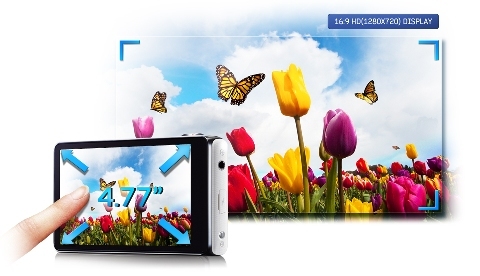 You must be interested in such a smart digital Android camera and want to check it out. AT&T currently offers the Galaxy Camera for $499.99 with a new 2-year contract. However, its version does not run on the carrier's LTE network.And it will be also available for $549.99 and come in two colors, Cobalt Black to Verizon Wireless, and White." For the unlocked one, it will be about $600.99. 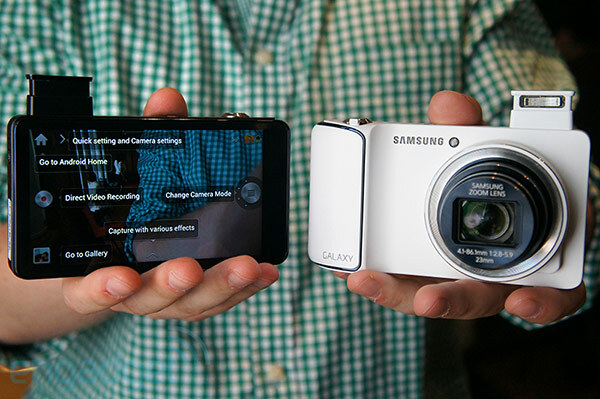 For its convenience and performance, the Galaxy Camera has impressed us. I think we will meet different camera types which bring us more surprise in the near future.